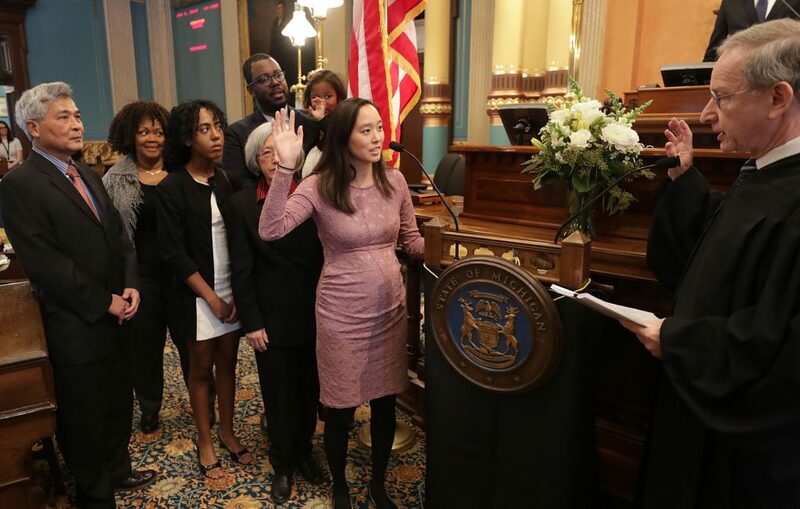 LANSING, Mich. — Sen. Stephanie Chang (D–Detroit) took the oath of office today to serve the citizens of Michigan’s Senate District 1. Sen. Chang begins her first term in the Michigan Senate with her Chief of Staff Ellen Heinitz, Director of Constituent Services Janlynn Miller and Legislative Aide Emily Nguyen. Senate District 1 is located in Wayne County and includes the cities of Detroit, Ecorse, Gibraltar, River Rouge, Riverview, Trenton, Woodhaven, and Wyandotte, and the townships of Grosse Ile and Brownstown.